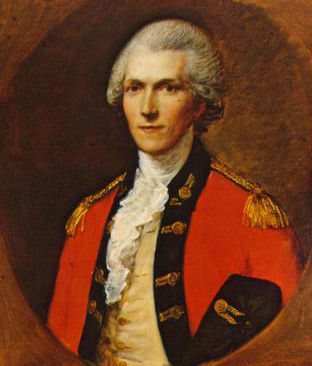 Count Rumford was born in North Woburn, Mass., but as a loyalist, moved to England during the Revolution. 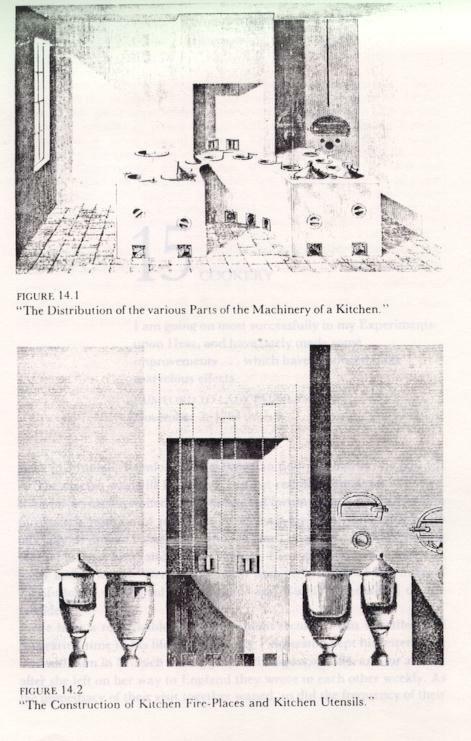 While in various positions in Europe, he did extensive research and inventions on heat, steam, feeding the military and poor and other subjects. His essays were combined into books in 1876, the complete works of Count Rumford which are on Google Books, and again in 1960, The Collected Works of Count Rumford by Sanborn Brown. 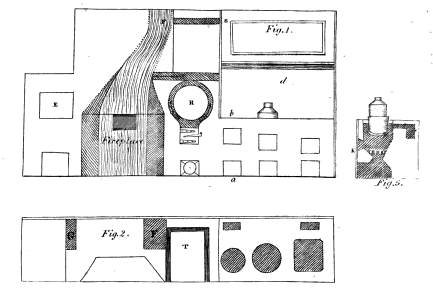 The sketch of a kitchen with Rumford pieces, has a brick beehive oven [left side], the Rumford fireplace with angled sides provide more heat and less smoke (a 'shelf' in the chimney), next is a round Rumford roaster (more information on the iron oven page HERE ), and a range/brick stove (more information on the stew stove page HERE). 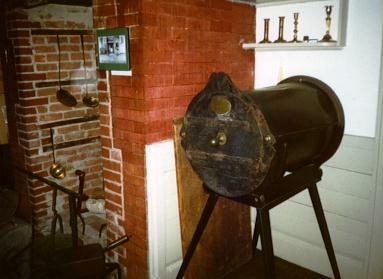 Some of his Rumford Roasters remain. Thus far, I have located about a dozen, so if you know of any or have a specific question, email me. Rumford: Third Essay of food and paricularly of feeding the poor.